Have your calluses removed, then your toenails filed and polished for beach friendly smooth feet with BB’s Beauty and Brows callus removal with file and polish. Calluses form when your skin dries out. Pair that with the amount of steps you take every day and calluses are likely to form. But fear not! Calluses are defined as an area of thickened skin that develops where there’s a lot of friction or pressure. For example, this might be where the ball of your foot rubs against your shoe. This is the ultimate treat for your tired, dry feet, so that you walk out of either of our beauty salons in Leicester and Peterborough with soft, smooth feet and pretty polished toes. During the treatment, a special softening patch will be applied to the callused areas of your feet, and then they will be wrapped for 15 minutes, while you sit back and relax. Once the wrap is removed, one of our experienced beauty therapists will file your skin to remove dry, dead patches, and then rub in a luxurious moisturiser to make your feet look, feel and smell divine. Next up, they will file and polish your toenails, with a colour of your choosing, perhaps bright orange to go with your tan, or dramatic black. Maybe a pretty pink is more akin to your style, especially if you want a more subtle look. We can guarantee that whatever you decide you will float away from our BBs Beauty and Brows salons smiling from ear to ear. Callus peels only take 15 minutes or so, so you can head to your local BBs Beauty and Brows salon on your lunch break and still have time to run other errands! Although a callus peel is a simple treatment, it may not be suitable if you have particularly dry heels. If your calluses are extremely thick or you’re also suffering from corns, it’s probably best to see a podiatrist first. Some people compare a callus peel to peeling an orange. This may not be the prettiest mental image, but it does go to show how effective it is! So, if you want summer perfect feet that will look gorgeous in sandals or on the beach, call BBs Beauty and Brows now to make a booking for a callus peel and file & polish. For the month of July, we’re offering a CALLUS PEEL + FILE & POLISH ONLY £25 (RRP £32) Available in both our Leicester and Peterborough salons. Please quote BBS/JUL/7/18 to redeem. If you aren’t looking for a callus peel and file and polish, panic not- here at BBs Beauty & Brows we offer a huge range of beauty, hair and holistic services in both of our Leicester and Peterborough salons. Summer is just around the corner! The weather is actually warming up for once in England, but it does mean everyone is constantly melting but we must not complain! Here’s some of our top tips to get summer ready this month! Your eyebrows cannot be forgotten about! They are such an important feature as they really do shape your face. Bad brows are no longer acceptable – as our strap line says, it’s all about the brows! There are a range of eyebrow shapes but our beauty therapists will be able to advise on what suits you the best. Our Beauty salons offer brow shaping services, so if you want them waxed, plucked or threaded then our walk-in beauty salons in Leicester and Peterborough are the place to go. One of the benefits of having your brows shaped professionally is that you can relax whilst the beauty therapists get to work and create a beautiful brow! As it gets hotter and we jet off to even hotter destinations, this does mean the legs may have to make an appearance. And as they have been hiding away for a while due to lack of sun this means the leg hairs need to be removed – thankfully waxing is a quick and easy method to remove leg hair. Waxing the leg means that you will be on your way to having silky smooth legs for your holiday and it lasts for about three weeks. You also avoid having stubble and ingrown hairs, which we seriously want to avoid. Both of our walk in salons offer leg waxing and many other types of waxing treatments so get in touch to find out more. The next step into looking glam whilst sipping a Mojito on the beach is to make sure your nails are looking their best! Say hello to bright, neon, eye-catching colours! A little tip: if you choose a brighter colour then it can also make you appear more tanned! That’s what summer is all about, right? We think so. There are lots of different ways you can have your nails done, our beauty salons in Peterborough and Leicester offer the following: manicures, pedicures, gel manicures, gel pedicures, or a file & polish. What colour or style will you go for this summer? Both of our salons stock a wide range of colours and finishes. Don’t forget to take a picture of your holiday nails for your Instagram feed! We’d love to see the results. If you are looking for a professional, walk in salon, get in touch to book an appointment, or simply call in when you are next in the local area. With salons in both Leicester and Peterborough, BBs Beauty & Beauty are here to help with all of your makeup, beauty and holistic therapy needs. As The Beast of the East and Storm Emma causes chaos across the United Kingdom, BBs Beauty & Brows want to ask our customers, both old and new to stay safe and warm while we experience this short spell of adverse weather conditions. It might be oh so cold outside, but we’ve got some crazy news that you just have to read! ‘Icing’ (otherwise technically known as Cryotherapy) works wonders for dulled, lack lustre complexions. You know the pretty ‘healthy’ look your skin has after a brisk, bracing walk in wintertime? Well, you can mimic that poreless, carved marble-clarity (without risking a sniffle) and here’s how. All you need is ice cubes (and ten minutes spare minutes in the comfort of your own home). By rapidly constricting blood vessels, ‘icing’ works to take down redness, minimise the visibility of pores, reduce inflammation which is fantastic if you’re suffering breakouts, and instantly diminish puffiness. The latter is great if you’ve had a heavy weekend of fun and drinking. It’s also the perfect quick-fix when you look a bit… ‘meh’ – instantly revitalising fatigued, tired faces. As a result of ‘icing’, everything will soon look a little ‘lifted’ and firmer, with far fewer unwanted bulges and bumps. All you need to do (at your own risk!) to take an ice cube from the freezer and follow our instructions. While plain water ones are absolutely fine, think about making some chamomile tea ice cubes which are great for soothing or better still try some supercharged options with berries and echinacea in them to help recapture your youthful glow. Here’s how an ice cube can make all the difference! After cleansing/showering/steaming… whatever your usual morning-time skin care routine involves, simply place an ice cube in a muslin cloth and simply sweep all over your complexion. It’s suggested that you pay attention to any areas that need a little extra ‘help’ – such areas might include eye bags and dark circles, for example. Once complete, simply finish with a gorgeous toning spritz. As soon as your face is almost dry, apply your serum/day cream/sun cream as you would usually. You’ll find that your beauty products will absorb much more quickly. What’ more, you may also find that your make up glides on seamlessly (that’s if you still need it!). Want to look well-rested in a few moments? Try this simple yet effective technique in the comfort of your own home and see the results for yourself. One word of wording though- if you are susceptible to broken capillaries, avoid this DIY beauty treatment. Why? This is because the rapid vasoconstriction can contribute to thread veins if you’re ‘icing’ too regularly. This skincare SOS treatment is best reserved for mornings-after-the-night-before, or special occasions when you need to look fabulous, fast! As February runs away with us, BBs Beauty & Brows are back with some more beauty resolutions to see you through 2018. Building on from last month’s blog, here’s a low down of helpful tints from July- December. Hands are often a big giveaway of age. Decide to take action this year to prevent the damaging effects of UV rays on your hands. Our team of beauty experts suggest applying an intensively moisturising hand cream containing SPF year-round to ensure your skin is protected from wrinkles, age spots and dryness. What’s more, always resolve to wear protective gloves for cleaning, gardening and the washing up, to keep them silky soft and youthful! Make 2018 the year you tackle those age spots, pigmentation and fine lines with the latest non-surgical anti-ageing skincare treatments. The revolutionary treatments re-energise tired, sun-damaged skin and help turn back the clock, letting you enjoy that flattering post-holiday glow without the visible effects of sun damage. Speak to us about the services we offer which can help to combat tired and dull skin. Your hands say a lot about you, your regime and how well you look after yourself. With this in mind, we bet you’ve been neglecting your cuticles? Dry, rough or overgrown cuticles can spoil your gorgeous manicure – get in touch with the BBs Beauty & Brows team and we can book you in for a range of suitable treatments to ensure you look and feel gorgeous, now and always! Make this a definite beauty resolution this year! Get the eyelashes you’ve always dreamed of in time for the 2018 party season. Full, fluttery and defined lashes are available to everyone at BBs Beauty & Brows. Our lash extensions offer natural-looking, long and luscious lashes which can be beautifully tailored to your individual requirements plus they’re low maintenance and fuss-free. We’ve got lashes to suit everyone though. Get in touch to find out which style will suit you best and book yourself in for a treatment at either of our walk in salons in Leicester and Peterborough. Achieve beautiful brows this year with professional High Definition brows, previously known as HD Brows. Brows are as individual as fingerprints and so each step of the High Definition Brows treatment is completely bespoke from the personal consultation, shape design, tailoring and aftercare process. Be the envy of everyone this month and flutter your eyelashes for guaranteed gorgeousness. Pop into either of our walk in beauty salons and get brows to die for this November. 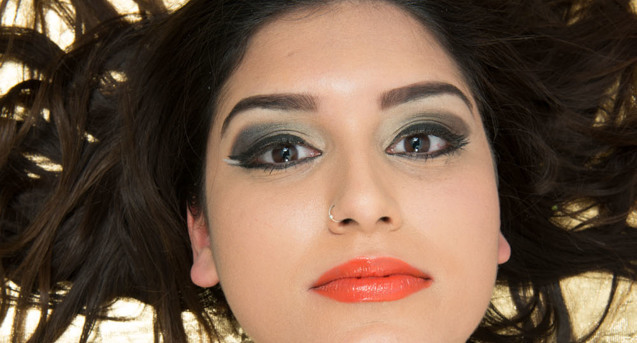 Look show-stopping this party season with beautiful, flawless make-up. Experiment with different trends or leave it to the professionals and book in for a make-over pre-Christmas party with our experienced and knowledge MUA here at BBs Beauty & Brows. Our talented make-up artists specialise in the hottest looks straight from the catwalks but can achieve any look you want! 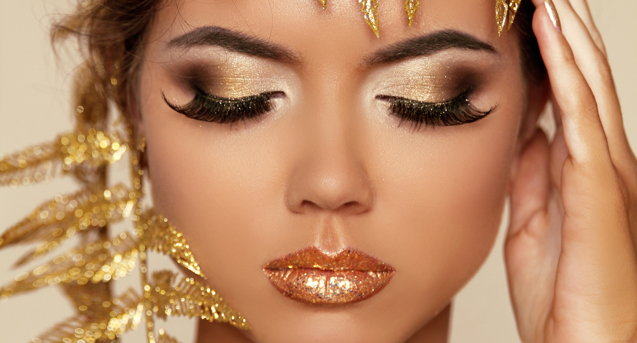 We promise to highlight your best features so you’ll look amazing at your big event. Want to know more about the beauty treatments on offer at BBs Beauty & Brows? Take a look at our extensive range of services or call in to see us at either Leicester and Peterborough. Having trouble sticking to those New Year resolutions? Why not take the pressure off this year and focus on achievable (and enjoyable) goals to help you look and feel your best? January means out with the old and in with the new; apply this logic to your make-up bag! Cosmetics and skincare have expiry dates so dig deep and discard them if they’re out of date, starting to discolour or smell as they won’t do your skin any favours. Now you’ve the perfect excuse to treat yourself and kick-start the year with the latest make-up trends and skincare technology. Ask us about our full range of gorgeous make up available in each of our salons- take your pick from Leicester or Peterborough, we’ll be happy to help. It’s Valentine’s this month, so why not gently remind your man he also needs to look the part and invest in some male grooming? Does he need a helping hand? From skincare and facials to manicures and manscaping we’ve got it covered at BBs Beauty & Brows. You’ll be falling in love with him all over again on the 14th we can assure you!…. Make-up, pollution and dirt lead to blocked pores, dull skin and breakouts. Aim to treat your skin to a weekly face mask or exfoliating treatment. For a beautifully clear complexion in time for spring, pop into one of our walk in beauty salons. We are here to help! Combat the tell-tale signs of ageing all over your body with regular body brushing, moisturising and exfoliating to invigorate your skin. We are happy to advise how best to do this. Why not try out a gorgeous pampering session with a massage? You’ll be in heaven we can assure you! Summer is on the horizon so resolve to get those tootsies flip-flop ready. Give neglected feet a kick-start with a professional luxury pedicure guaranteed to leave them silky soft and prettily polished. Our pedicure treatments soothe away tension and stress whilst combined with a pedicure, polish and perfect to keep them in tip-top condition. Get gorgeous feet this May! Be fuzz-free and super smooth on your summer getaway. With lots of waxing treatments available at BBs Beauty & Brows you’ll be spoiled for choice. Speak to our experienced team to find out more about our range of waxing treatments available. As we storm into the Christmas season, what’s on your Christmas wish list? If you struggle to find that perfect gift for your loved one – don’t panic! At BBs Beauty & Brows we have you covered. If you want something really worthwhile under the Christmas tree this year, or want to find the perfect stocking filler, take a look at our range of fantastic offers available at both of our walk in salons in Leicester and Peterborough. All I want for Christmas is fleek eyebrows! As experienced beauticians with a wealth of experience in the beauty industry, our team of experts can help you achieve the perfect eyebrows this Christmas! We understand that eyebrows are as individual as fingerprints, and our tailored procedures transform even the most unruly, sparse or over-plucked brows into perfect arches to suit the wearers face. Taking between 30-45 minutes, the High Definition Brows (HD Brows) experience features tinting, waxing and threading, with BB’s Beauty and Brow stylists using a specially design formula to give you perfectly defined brows. All I want for Christmas is amazing skin! At BBs Beauty & Brows we pride ourselves on being skin care experts and will help you get healthy, smoother looking skin in time for Christmas! 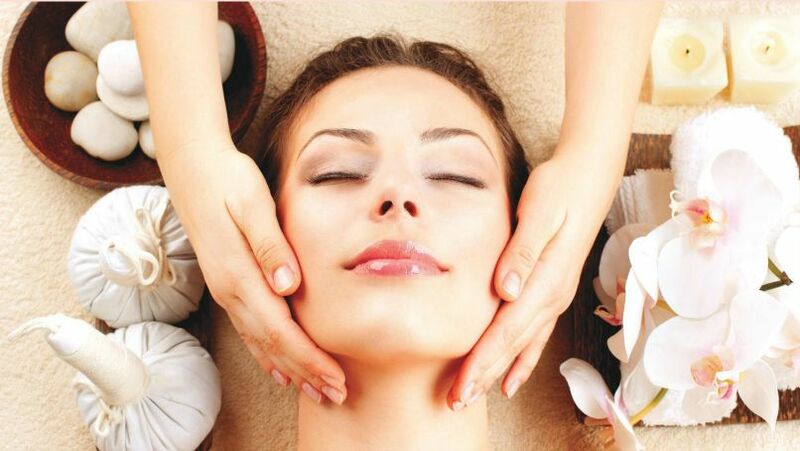 Our facials and massages deliver exceptional results to give you brighter, clearer and younger-looking skin. Book in with one of our professional team, relax and enjoy your facial experience. Hurry though, appointments for Christmas beauty treatments book up fast in December! All I want for Christmas is longer, thicker lashes! Head of to your special Christmas occasion in-style with an eyebrow shape, eyelash tint or lash extension from our team of skilled beauticans. We offer a wide range of eyelashes from temporary to semi-permanent, perfect for a special occasion – it’s amazing what a difference this can make to your appearance. Enhance your eyes and make them look fuller and more well defined when you choose BBs Beauty & Brows of Leicester and Peterborough. Christmas Gift Vouchers from BBs Beauty & Brows! This year relax and take the stress out of shopping with a gift card to spend at BBs Beauty & Brows, we have something for everyone. The perfect gift idea for the girl that has everything! Treat them to the gift of beautiful hair – no matter if they want High Definition brows, threading, hair extensions or a pampering beauty treatment, at BBs Beauty & Brows we have you covered. Mylash Express lashes can offer a subtle and natural style, or can be built up to provide a more glamorous look. This treatment, which is popular with clients and celebrities alike, lasts up to two weeks. After this time, the lashes should be removed and a new set applied. Here at BBs Beauty & Brows we are able to not only apply your gorgeous Mylash Express but also remove them for you so there’s no need to go anywhere else! This short, effective, results-driven treatment is the perfect addition to your lash treatment menu, so don’t look any further. 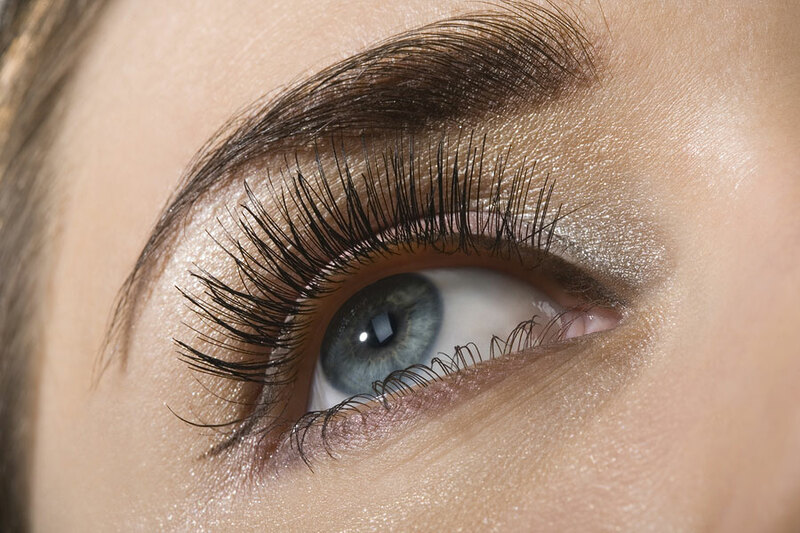 Our friendly and knowledgeable lash technicians are on hand to help create beautiful lashes for you. And now is the perfect time for some TLC in the run up to the festive period. Using an express technique, individual synthetic mink lashes are applied across the lash line in just 30-45 minutes. This lash technique is ideal if you want to look fabulous at festivals, parties and events- or just because! What’s more is that due to the fast application process, it’s simple to fit this hassle free treatment into your day! Before you start work, on your lunch break or after you’ve finished your day, pop into either of our walk in salons in Leicester or Peterborough and leave with beautiful looking lashes. If you’ve got eyelash extensions from another salon and you’re in pain, they don’t look right, or you just need them removed, get in touch straight away. We’ve rectified work by other salons many times, so panic not. We’ll happily remove your old lash extensions for you, and apply a new set. Don’t forget, before you come into the salon make sure your eyelashes are squeaky clean- no traces of eye makeup- prior to your appointment or walk in booking. The reason why? Traces of makeup, especially mascara creates a barrier between your natural lashes and the adhesive, causing your eyelash extensions to drop out prematurely. And the best news yet? Throughout the month of November, BBs Beauty and Brows are offering a fantastic price for Threading/ Lash and Brow Tinting / Mylash Express Lashes for only £54! (RRP £64). Don’t wait too long though, these treatments are already proving very popular- get in touch today to book in your treatment, or call into our walk in salon for first class treatments, now and always! This month we are talking about fabulously gorgeous Shellac Nails. (And yes, of course- BBs Beauty & Brows offer these oh so pretty nails at both of our walk in salons!) So, for those who aren’t 100% sure on what Shellac is and what it’s all about, we’re here to explain a little more…. A hybrid of nail polish and gel, Shellac will leave your nails looking like a freshly polished manicure for approximately two weeks. And while you think we may be biased in our opinion, there really is no other product on the market quite like it. In truth, there’s no other product that is applied like polish but wears like gel! Designed to withstand the rigours of daily life, Shellac is perfect for use on natural nails as well as nail enhancements. Painting on like polish, Shellac is cured in a UV light so there’s no drying zone. What’s more, the colours are no hypo-allergenic. With a thin and flexible formula like nail polish, Shellac not only looks oh so natural but it also provides a very strong nail protection. Furthermore, the resilient mirror finish resists dullness and chipping, even during the most rigorous activities such as cleaning, partying and even mucking out the horses! Featuring a base coat, colour coat and top coat that you would expect from any quality polish application, Shellac can last up to 14 days. For the whole of October, BBs Beauty & Brows are offering a fantastic Autumn special, just for you! 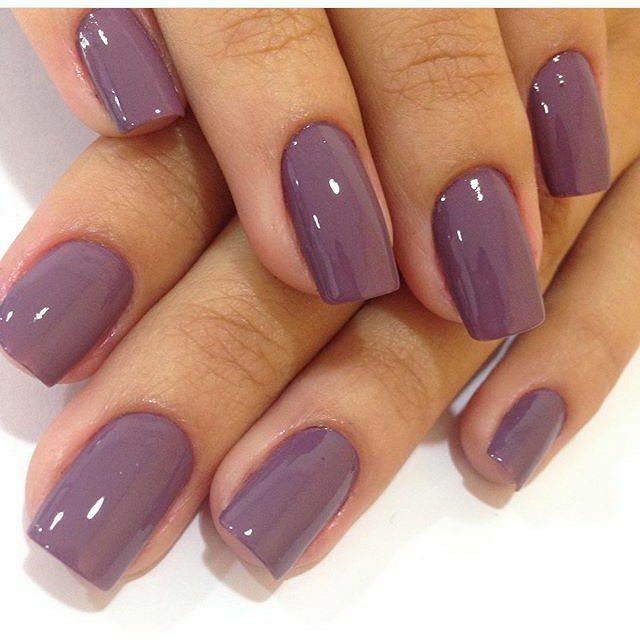 Get a gorgeous Balcare Manicure and Shellac Nails for only £30! (RRP £39). What’s more, with the run up to Christmas fully underway and lots of parties, Christmas do’s and spending time with those you love, why not treat yourself, or one of our loved ones, with a Shellac makeover? We’ve got oodles of gorgeous colours to choose from, so what are you waiting for? PS: We also offer gift cards if you want to purchase a special gift for someone you love! It’s all about feeling like ‘you’ again. Your health is your most precious gift, and throughout life many of us experience illness. Whether it be yourself or others, sadly cancer and other terminal illnesses affects a large proportion of us these days. Such treatments can be aggressive (let alone scary), and many people affected may be in and out of treatment and hospitals daily, interacting with their medical teams. People are people, and whatever they are experiencing, it doesn’t define who they are. Illness can affect anyone at any time. Undergoing all manner of medical treatment for cancer for example takes its toll both psychologically and physically. At times the only contact people have is with their medical team and machines. For those that have been affected by cancer and other terminal or life limiting illnesses they often don’t want to stand out, or be constantly reminded of their illness. They want to be ‘normal’ and enjoy everything they can. That’s why this month we’ve decided to write and explain, as having met many clients affected by such illnesses the key thing is that… They just want to be normal, to experience everything they could before. Not to be denied of the simple pleasures, but spoken to as you would anyone else, without a giant pink elephant in the room. Here at BBs Beauty & Brows of Leicester and Peterborough, we offer a range of amazing treatments, giving skin to skin therapy, making you feel human again, whatever battles you are facing in life. It really is true, the power of human touch should never be underestimated. So, if would like to enjoy a relaxing Pamper Package this month, don’t wait! For the whole of September, our teams at BBs Beauty & Brows are on hand to help you feel amazing with our brilliant September special offer. For only £39 enjoy a PAMPER PACKAGE (RRP £53) this September. But what’s included? As part of this fantastic offer you’ll receive an Eye Design, Basic Facial and a File and Polish. All you need to do is quote /SEP/9/17 to redeem in either of our walk in salons in Leicester and Peterborough. 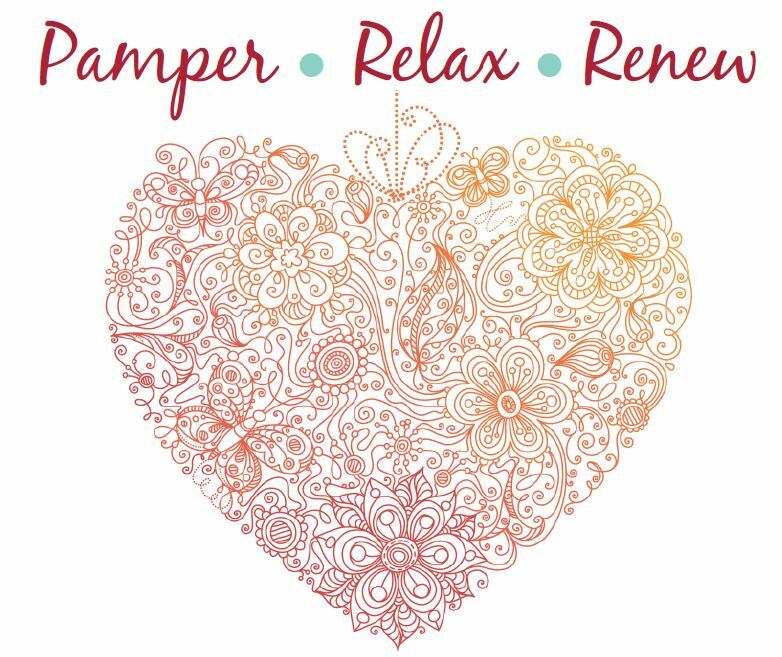 So, whether you are living with an illness, know someone who is, or just want to kick back, relax and unwind, BBs Beauty and Brows are here to help. Feel a million dollars this month with Leicester and Peterborough’s number one walk in beauty salons. With the summer months passing by at a rate of knots, if you are looking to convert to the fabulous, restorative powers of traditional Thai deluxe facials, look no further than BBs Beauty & Brows. And if you have yet to try one of our incredible Thai deluxe facials yet, prepare to be surprised! Thai Deluxe facials are famous all over the world- their unique combinations help to release tension, boost flexibility and calm the mind. If you are feeling tense and anxious before a session, we can assure you you’ll feel a million dollars when you walk out of either of our walk in salons in Leicester or Peterborough. Our very best service will visibly brighten the appearance of your skin- so much so that your outside reflects your inner radiance and leaves you absolutely glowing. But how do we do it Thanks to Mother Nature we give you oodles of goodness and all the wonderful loveliness she provides. Incorporating rich extracts of all things fantastic our Thai Deluxe Facials detox your skin and reduce to appearance of fine lines and wrinkles. But that isn’t everything. From a BBs Beauty & Brows Thai Deluxe Facial you also enjoy many other benefits including a reduction in dry skin, blotchy skin and dark circles so what’s there not to love? The minerals, vitamins and antioxidants in a BBs Beauty & Brows Thai Deluxe Facial help to successfully wipe away the stresses and strains of daily life, minimising the signs of aging and helping with your overall positive well-being. So in no time at all, you can enjoy younger-looking, even-toned, smoother skin. What’s more, while a Thai Deluxe Facial is a beautiful way to unwind after a stressful day at work, or as a way to give yourself a well-deserved reward, Thai facials also have lots of lasting health benefits including replenishing your body’s natural energy. As well as relieving physical stress and strain, our Thai Deluxe Facials is the perfect way to unwind mentally. It’s much gentler than many other massage techniques and has a fantastic deeply calming effect which can only be experienced if you try one for yourself. So, to see the results for yourself, why not kick back, relax and enjoy your secret weapon in the fight against the visible strains of daily life? Get in touch with BBs Beauty & Brows to arrange your Thai Deluxe Facial at your earliest convenience. We look forward to welcoming you along very soon at either of our walk in salons in Peterborough or Leicester.